Let us help you with your business! This is your chance to get YOUR MESSAGE into the hands of hundreds of Twin Cities families! JBF has the customers for your business! Just Between Friends is the largest consignment sale in the Twin Cities with hundreds of shoppers each sale. Is your target market moms with young children that live in the Twin Cities NE Metro area? We have both Sponsor and Vendor Opportunities available. Please contact us soon as we only allow one of each type of business for our booth rentals. Expert Care in Vadnais Heights Without The Wait! The Urgency Room is a concept unlike any other. Owned and operated by Emergency Physicians Professional Association (EPPA), it’s a place where infants, children, and adults can go to get outstanding medical treatment and phenomenal patient care. The UR prides themselves in the quality of care and experience their patients receive. The Urgency Room is open from 8:00 AM–10:00 PM, 365 days a year. 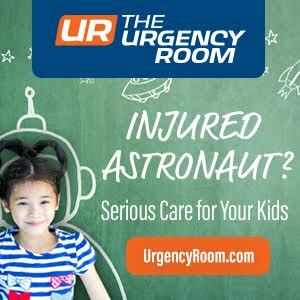 Staffed with ER physicians and highly skilled medical professionals, the UR can treat an extensive list of ailments and injuries, quickly and efficiently. Visit The Urgency Room in Eagan, Vadnais Heights or Woodbury, you’ll get in fast, receive expert medical care and an amazing patient experience. Your child not only has a different dentition than an adult, but he/she may also have specific dental and behavioral needs that are unique to a child. These needs may include early orthodontic intervention, dental sealants, fluoride applications, crowns and nerve treatments, or just simply education on oral hygiene. In addition to treating existing dental problems, the office focuses on prevention through patient and parent education. 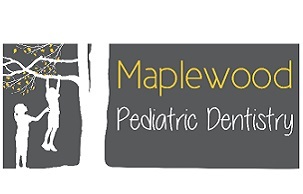 As Maplewood’s local experts in pediatric dentistry, Dr. Claire, Dr. Michelle and Dr. Mielke will be monitoring your child’s dental facial growth and development and his or her unique smile and bite. At every appointment, the doctors will keep you informed about any future and/or immediate orthodontic work recommended for your child. One of Pediatric Dentistry's objectives is to provide all education tools and clinical applications for your child to enjoy a cavity-free future. They also pride themselves in building a trust with your child, so that he or she will love to go to the dentist as a child and as an adult. BE A JBF FEATURED BUSINESS PARTNER. We offer both Sponsor and Vendor Packages to Market, Brand and Promote YOUR BUSINESS to thousands of Twin Cities Families.